Berlin on Wednesday summoned Turkey's ambassador over the detention of a German human rights activist and issued a fresh warning about the NATO partner's respect for the rule of law. A Turkish court on Tuesday ordered six human rights activists including Amnesty International's Turkey director to remain in custody for allegedly aiding a "terror" group, a charge Schaefer branded "absurd". Chancellor Angela Merkel has criticised the detention of the activists as "unjustified" and pledged to "advocate for (Steudtner) on all levels". Schaefer said Foreign Minister Sigmar Gabriel would interrupt his summer holidays and return to Berlin over the "dramatic escalation in Turkish actions" to determine which "further measures" could be taken. Martin Schulz, Merkel's challenger in September elections, said Berlin could toughen its security warnings for people who are either in or want to go to Turkey. 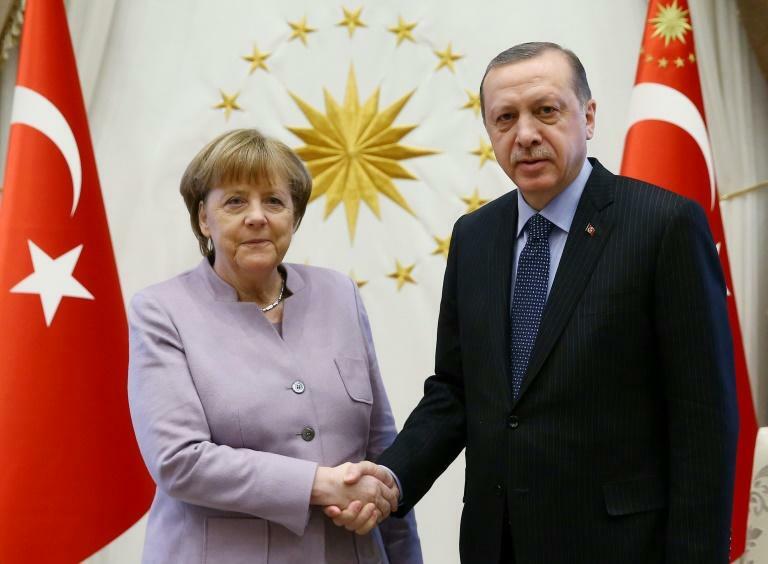 On July 12, Germany advised its nationals in Turkey not to openly criticise the government. A Swedish citizen, Ali Gharavi, was among those arrested. "We have urged Turkey to quickly clarify the grounds for the accusations against him," said Swedish foreign minister Margot Wallstrom. Berlin has voiced deep concerns over mass arrests and sackings of alleged coup plotters, and a host of other civil rights controversies. One dispute centres on Deniz Yucel, a German-Turkish journalist with the Berlin-based newspaper Die Welt, who was imprisoned by Turkey on terror charges earlier this year. Schaefer also mentioned the ongoing detention of German reporter Mesale Tolu, who has been in Turkish custody since April. The NATO allies have also clashed over thwarted visits by German lawmakers to German troops stationed at Turkish bases. Last week Turkey asked legislators to postpone a scheduled visit to a NATO base in Konya, the German foreign ministry said, expressing "regret" about the decision. The dispute came after Germany last month pulled out 260 troops from Turkey's Incirlik base, from where a multinational coalition is fighting the Islamic State jihadist group, and redeployed them and their Tornado surveillance jets to Jordan. Merkel's spokesman Steffen Seibert said Wednesday that in the current context, any progress on Turkey's bid to join the EU was "not on the cards". He pressed Ankara to consider what relationship it wanted to have with the 28-member bloc given the outstanding "questions about the rule of law" and democratic values in the country. "Turkey turning away from Europe is not in Germany's or Europe's interest," he said. "It is up to Turkey to determine its stance on these values." German Justice Minister Heiko Maas also weighed in on behalf of the detained activists. "Those who fight for human rights are not terrorists," he told DPA news agency. "Mr Erdogan is filling the prisons with his opponents and critics. That has nothing more to do with a state based on the rule of law. It must be clear to him that he is isolating Turkey politically and damaging it economically." With an eye to Turkey's lucrative tourism industry, Schaefer said the foreign ministry was stopping short of issuing a travel warning for Turkey. But he said its "poor human rights record" raised concerns about whether Germans should visit the country.